Some pirates chose the life so they could get tons of treasure and maybe retire young and rich, some went for the fame (or infamy), and others decided to go for the single fact that the flag is the most awesome on the seven seas! Just one look at that famous Jolly Roger and everybody's timbers will start shivering. Even if you're not a huge fan of the flag (which we think you'd only say if you were lying anyway) you've still got to represent those colors for your fellow pirates. 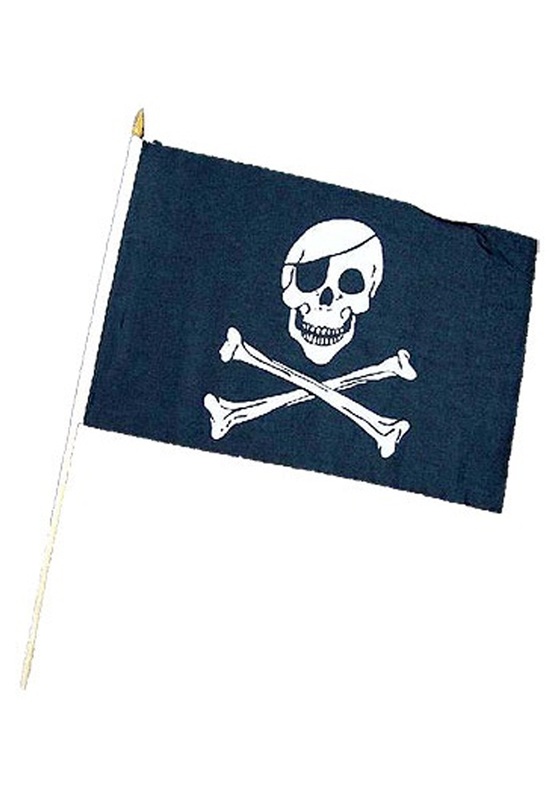 So it's either snag one of these sweet flags or you'll be walking the plank! This is a nice compact version so you can show your true colors wherever you go whether it be at the office or some sweet swashbuckler themed party. You'll be sailing like a true corsair in no time even if this flag is for more of a model boat.